'Night Ranger' (William Simon, R. 1982). Seedling# 49A x (19x43). TB, 34" (86 cm), Midseason bloom. Ruffled black purple; navy beard and styles. 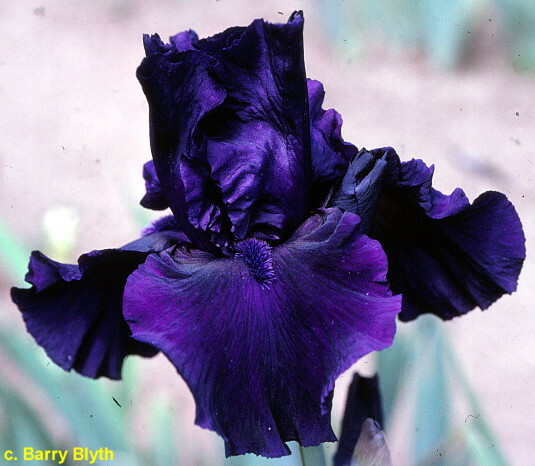 'Navy Strut' X ('Neptune's Pool' x 'Night Owl'). Simon 1982.